Here in 2019 we’re all too aware of keyboards costing us the best part of £200 for a feature-packed, mechanical, RGB keyboard that promises to improve your gameplay, but that price tag almost demands that you use the keyboard on a daily basis to feel any kind of worth from it. What if you play much less often, or just have less money to throw at your peripherals? Today we’re looking at something much more wallet-friendly from ASUS; the TUF Gaming K5. The ASUS TUF Gaming K5 rounds out the trio of ASUS TUF Gaming headset and ASUS TUF Gaming mouse to bring affordable gaming to your desk with all three of the items costing less than a typical expensive keyboard. 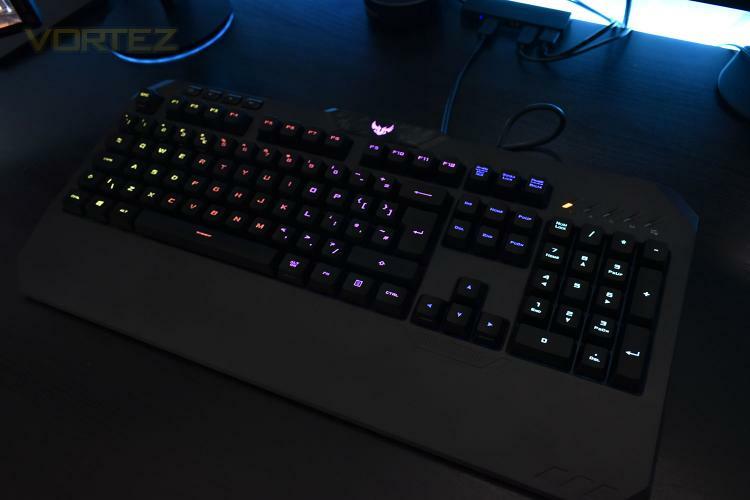 We’ve already seen similar approaches from Razer and ROCCAT with the Cynosa Chroma and ROCCAT Horde AIMO at around the same price point, so will the ASUS equivalent fare well in our testing? Let’s find out.